Presley Parker was pumping herself up for one of her “Killer Parties,” and was learning how to appreciate the finer qualities of wine. She didn’t appear to be Chef Rocco Ghirenghelli’s most talented wine aficionados when her roll-around-the-mouth bit made her look more like she was sampling Lavoris. Presley was a seriously “wine-disabled student,” but she was one heck of an event-planner and her upcoming wine-tasting event for Rob and Marie Christopher would undoubtedly be wildly successful and go off without a hitch. One, two, three ... whiff, swish, let it “play” on the palate. Got it. Urrhmm, nope. Maybe she’d better practice a bit more. Even Presley’s boyfriend, Brad Matthews, looked more sophisticated driving his SUV with the crime scene cleaner logo on the side, but by the time she showed up at the Christopher’s Tuscany-style mansion, she’d be a pro. They owned the Purple Grape and were throwing a party to introduce their new line. Independent Napa growers were being trounced on by Napology, who was trying to buy them out and then there was that “wine pest,” JoAnne Douglas. Everything had to be “green” or she was going to throw a hissy fit. She was known for threatening people, the type of person who wasn’t exactly known for winning friends and influencing others. Victoria, Presley’s mother who had early-onset Alzheimers, was hot to trot and appeared to be falling for Larry, her bingo buddy, but the party must go on. And it did. Sleazeball lawyer Kyle Bennett was hitting on Presley, the new merlot was a hit, and the Grape-Stomping River Dancers were gonna stomp. The guests were raving that the party was “off the hook,” but everyone had overlooked one little problem. “Oh no. Presley. Not another dead body,” Victoria exclaimed to her daughter. Someone had bludgeoned Ms. Douglas with a bottle of merlot and for good measure stabbed her with a corkscrew. Had they been frolicking all the time with a corpse under the table? And then there was the floater. Would Presley be able to figure out whodunit before she became the third one? Presley Parker has once again planned a killer party, a real corker. The lighthearted nature of the plot and daffy way Presley went about solving this whodunit made the tale very relaxing and popcorn popping fun. Of course her partner, her mother Victoria, pointed her to the bingo hall where “a wealth of information” was awaiting them. This is one of those perfect beach books where Presley, a wannabe Jessica Fletcher, bumbles and stumbles onto clues that lead her right to the culprit (and almost to her own demise). This tale is as delectable as a fine Napa wine and as amusing as a bottle of “Two-Buck Chuck” on sale. If you like your cozy mysteries a tad on the silly side, you’ll love this one! Quill says: How to Dine on Killer Wine has dazzle, pizzazz, and the bouquet of fine cozy mystery. Magnifique! When Jane Austen and the world of technology came together in the 20th century it was exciting. Why? Because with the invention of movies, television and then, DVD’s, a true reader could actually watch a perfect piece of literature come to life on the screen. Whether or not you like the book or the movie better is neither here nor there, what matters is that the characters enter your household and leave a lasting imprint on your imagination. THIS is The Forsyte Saga. THIS is yet another amazing gift for readers to watch and learn all about the pride, wealth and ups-and-downs of societal Britain during some of the most turbulent times in history. The story truly wraps around the character of Soames Forsyte. This is a man who represents the higher echelon of society and loves the 1800’s London world. He’s a man of property who sees his future in the form of the lovely Irene – who he begins to pursue like a hungry lion chasing after a doe with only marriage in mind. Irene is not really fond of Soames, but when her stepmother tells her they will soon be destitute, Irene approaches Soames and accepts his proposal. Now the Forsyte clan is beyond wealthy, and Soames is the manager of all that wealth who demands that the family be respectable. Soon they are celebrating the engagement of June Forsyte, daughter of Jolyon; Jolyon was cast out of the family for leaving his wife and running away with the governess (a major slip-up, which made Soames put him on the ‘out’ list). June's fiancé is a young architect named, Philip Bosinney. When June introduces Philip to her relatives, she singles out Irene, whom she has become very friendly with. What she doesn’t realize is that Irene is looking for love – real love. Soames treats Irene as yet another piece of property instead of a soulmate (even though he is completely in love and obsessed with her). So the ALWAYS unhappy Irene decides to begin a love affair with June’s prospective groom and, to make matters even worse, the independent outcast, Jolyon, comes back into the picture. These situations get everyone into a mess as Soames’ ownership of Irene spawns a horrific moment that results in Irene running away and separating from Soames for the next ten years. Soames wants a child and truly wanted that child from Irene, so he tries to get her back into his life. What happens? He drives her into the arms of another family member. What goes around comes around, so to speak, and Irene bears a son while Soames sires a daughter. And this son and daughter end up falling for one another, yet their parents won’t allow them to be together because of the awful secret that the family holds. The daughter’s name is Fleur, and she is JUST like her father. A Daddy’s girl through and through, she will not be told that she can’t have the man she wants and throws herself into the love affair body and soul. This story runs from the Victorian era straight into the beginning of the 1920’s. The changes in the world make Soames shudder at times. From women’s rights to allowing them to ride horses in the Park to motorcars that fill the skies with black smoke – these are issues that Soames despises. He wants to bring back the good old days when respect and wealth went hand-in-hand. Not to mention keep his beloved daughter far away from Irene’s son. This is the beginning of Galsworthy’s saga about the Forsyte family. This first trilogy opened the door for him to write two more, which showed how the later generations dealt with the wars, financial problems, lost loves and changes in the world. This is a classic story; extremely well written and amazingly well acted. You’ll get emotionally involved with the characters – hating them one minute and loving them the next. Galsworthy’s words put the modern love stories to shame proving, once again, that we need more of these tales and far less of the ‘fanged and furry’ ones. Quill Says: This is a definite keeper that will be watched over and over again. Hopefully the next two trilogies will be filmed very soon because the books were truly phenomenal! Yes, there is a new fantasy trilogy to hit the shelves in 2012 and this one is...unique! That is an extremely hard word to use in this day and age, but this is not about the ‘fanged ones’ or the ‘barking wolf’ ones at all. Callie LeRoux and her mom live in a town called Slow Run, Kansas. Right now they are living through one of the most horrific dust storms that hammered the Dust Bowl in the 1930’s and chased many home owners into other states, because they could not live (and a lot of them didn’t) through these particular storms. Homes were ruined, crops dried up and nothing the poor people tried to do made it any better. Running a small hotel in town, Callie and her mom are still there when Callie is taken seriously ill by the dust that constantly flies through their home. She wants out, but her mom is still waiting for Callie’s father to return and will not leave until he arrives. However, when a particularly fierce dust storm hits the town, Callie’s mom runs away and no one can find her. Suddenly a mysterious man called Baya turns up and tells Callie a story about what her future life holds; he also unveils the secret that Callie is both half mortal and half fairy. Callie is told that she must follow the path to ‘the golden hills of the west’ in order to find her parents and get a new life for herself. On her journey she meets Jack, a young boy who has been riding the rails in order to get out of the area, and he decides to go with her to California. In their travels they run into some very odd folks (good and bad) which keep the story going. Among these beings are people who are desperate to kidnap Callie because she is, in fact, quite a ‘star’ in the fairy world. With Callie doing her best to evade the kidnappers who are trying to capture her in order to claim her powers for themselves, this adventure keeps right on going until the last page is turned. The writing in this novel is very good and unlike any fairy stories on the market today. Not to mention, Callie and her friends will leave a very solid, fun imprint on the imagination. Quill Says: After reading the first in this series, readers will most definitely look forward to seeing what happens next! For fans of this truly fantastic television series shown on MTV, this book (and hopefully a series of books) are a great addition! Not to mention the fact that Nancy Holder, one of the most amazing writers in fiction who is responsible for the bestselling Wicked series, is the author - which makes this story a whole lot of fun to read. For anyone who has not yet tuned in to the series (which you should as fast as possible), this is a story about a young man by the name of Scott McCall- a lacrosse player, a quiet sort with a best friend who is absolutely hysterical, and a boy who was bitten by a werewolf. This ‘Alpha’ who changed his life won’t give up on Scott, wanting to take him into the pack and make him one of them. But Scott is desperate to try and hold on to who he is and what he wants - including his teen love, Allison. Allison’s family are werewolf hunters. (Talk about picking the wrong girlfriend when you’re a wolf!) Derek is another Beta, like Scott, who is out for vengeance, and he wants nothing more than to track down this Alpha who has changed them both because he’s seeking revenge for his sister’s death. In this story we begin with Allison’s birthday. She and Scott decide to skip school to celebrate together and have been found out. In addition, a dead body has also been found. Yet another in a long line of vicious attacks in Beacon Hills that has been blamed on a mountain lion. (Even though Scott knows that the Alpha is the real killer). One evening Lydia (Allison’s best friend) tells Allison that her boyfriend Jackson has up and disappeared. She can’t reach him on the cell and no one seems to know where he went. Begging Allison for her help, she and Scott go on the hunt to look for Jackson. Scott is beyond scared that the star lacrosse player has met up with the same fate as the rest of the Alpha’s prey, but while searching, Allison and Scott not only find even more romance with one another, but as they hunt the woods for Jackson, they soon come across a truly beautiful silver wolf that basically just sits and stares at them before walking away. A picture of things to come? A new wolf in the forest ready to help…or, harm? Again this is a great plotline that is far different than the multitude of werewolf books and movies that have been tossed into reader’s laps over the past decade. In fact, the MTV show is extremely well-acted and well-written, so it is NO surprise that this book is a whole lot of fun, as well. Quill Says: It would be great to see Nancy Holder take charge and bring even more Teen Wolf novels to life! Millions of readers across the globe were waiting for this one. THIS is the story of whether or not Luce and Daniel would finally overcome and be able to live a full life together. Over the years they have fought to accomplish this goal. Daniel has been the fallen angel who chose Luce as the girl he wanted a long time ago; Luce is the teenage girl down below who was fighting and struggling to live her life (or, at least, find a way to like her life) when they first met up at Sword & Cross. And, yes, this was the school that made all readers a little creeped out and definitely wanted to do better in school so they wouldn’t be put there. Over the years (and books) Luce began to have incidents and, most of all, memories. She saw her past lives in China, Egypt, and other locations where she and Daniel met, kissed and death took over. This was a curse and something they had to overcome in order to be together. Suffice to say the final book was the picture of a paranormal battle of wills. This was the war of Heaven versus Hell that had to be played out in order for Luce to finally unveil and uncover exactly what she is and find out exactly why she and Daniel have had this horrific heartbreaking history. The cast of characters are back - the angels (bad and good) must get together to hunt the land for three objects; three objects that when brought together will show a solution to stop Lucifer from altering time and starting the world all over again - erasing the lives and future that Luce and Daniel had shared, making sure they will no longer find each other the next time around. This is the pain, the agony and an adventure where the group must actually meet up with creatures they haven’t exactly liked along the way in order to fight for what they want. What’s the main issue? Luce has a secret buried in her own mind and when she finds this secret out she will have to fight for her very life, existence, and - of course - the ability to be with the boy she loves. This is one of those ‘vacant’ reviews because…it has to be. Literally every page of this adventure introduces a new character, a new piece of the past, and a new secret that readers will want to learn for themselves as they sit in a room alone and come to terms with what Lauren Kate has been saying across this series. There are those readers who will not be surprised (frankly, I think many knew where this was all going). But the biggest issue with this series is the fact that it has come to an end. Likened to the ‘fanged’ character that everyone loved for so long as he fought for his lady and vice versa - Lauren Kate’s couple will be caught in the imagination for a good, long time until - perhaps - the movie screen allows readers to see Luce and Daniel up close and personal. The writing is as good as Book I and does not leave readers unhappy. ‘Nough said. Advice to Lauren Kate? Get going on another YA series because you’re certainly a master at it! Quill Says: A fond farewell to Luce and Daniel! FQ: First, I have to ask, being a songwriter you certainly have a background in emotional text - but when did the songwriting lead into novel writing? chapters. Then in 2008 I was unemployed for a while, so I had plenty of time on my hands to work on a novel, so I completed my first novel, It’s The Bass Player almost a year later. Once it was finished and published, I knew I had the writer’s bug. So I started on the sequel to the first book. Now that the second one has been published, I have started on a third one. FQ: This is truly a very personal tale. Was this therapeutic to put on paper? It felt good to tell this story, even though most of it is fiction, because of my own experiences in life, which were similar to those in the books. I had a son that died in childbirth in 1979, which gave the inspiration for Nancy’s tragedy. FQ: Having the book revolve around the concept of ditching the dream for the reality, it seems in the beginning of the book that it was really a quick decision for you to make. Can you tell our readers about that moment - where you changed the course of your future? I was a lot like Toby at that point in my life. The music just couldn’t quite fill that void I had. Like someone once said, “Sometimes you have to give up your dreams to do the right thing. To stay the course to fulfill your own needs and the needs of a loved one, you have to make sacrifices.” At that point most of my friends were getting married and settling down and being happy. I wanted the same thing. But at that point, that meant that I had to give up my dream of being a “Rock Star.” But that didn’t mean I had to give up being a musician or writing songs. I’m still writing songs today. I’ve had several on the radio over the years, even had the opportunity to have my songs in a major motion picture. FQ: On to a more 'upbeat note'… Are you currently in a band? Still writing and performing? I am still playing in a band called Renegade. 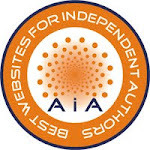 I belong to the Nashville Songwriters Association International. The local chapter of songwriters performs practically every week locally around my hometown area in central Alabama. I have a CD in the back of every autographed copy of my book Mixed Blessings of original tunes that I recorded in Nashville. FQ: Opening for Mickey Gilley must be absolutely amazing. Who are some of your favorites when it comes to the bands and/or singers you’ve performed with over the years? Mickey Gilley was truly one of the nicest gentlemen I’ve had the pleasure to work with in the entertainment business. Another would be Vince Gill. I got to be in the studio that he recorded in back in the late 90s in Nashville, while I was living there. My band opened for Billy Joe Royal at a private party back in 2009. He’s another nice guy. There are some I’ve met who acted like they were better than everybody else, but most are just plain folks like you and me. 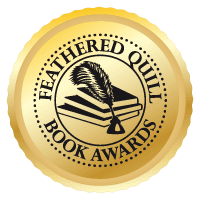 FQ: Are you currently working on a new book? And are you interested in writing other genres? Yes. I have started on my third book, which I don’t have a title for yet. I usually don’t really have a title when I start out. I let that come to me after I’ve been working on it for a while. This next book has a ghost story in it, so it’s a little bit different from the first 2. It also starts out in the 1800s, then moves up to the 1940s, then back into the 70s. My buddy Clive Cussler uses this technique of writing in different time eras to tie in a main theme. Clive is the one who inspired me to write in the first place. I may try something entirely different for my fourth book. 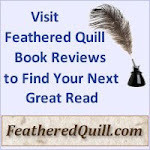 To learn more about Mixed Blessings please read the review at: Feathered Quill Book Reviews. Readers will be thrilled with this new YA because the experience they ‘think’ they’ll receive is completely wrong. Most people think of mermaids as Disney animated characters that became popular ‘under the sea.’ But from the opening quote of this very cool novel, readers will be hooked and creeped out all at the same time. This is the story of Calder White, a boy who can change into a merman when he enters the water. Calder didn’t start out life as a merman; he was changed when he was a baby and fell out of a boat on Lake Superior. Having three sisters who actually began their lives as mermaids is a little difficult for Calder who still has some of his morality intact, whereas his siblings are stone cold killers. Luring people to them with their looks and charm, they take their prey into the depths of the lake and ‘drain’ them of their emotions (i.e. : excitement, happiness, joy, etc.) Any positive emotion is absorbed into these creatures which gives them a brief moment of happiness that cancels out the painful emptiness in their minds. Calder, who is spending time in the Caribbean, is called back home by his sisters. They believe that they’ve found the son of Jason Hancock, a man who they think killed their mother. The sisters make a diabolical plan; they want Calder to lure Hancock’s daughter, Lily, into their clutches so they can get to her father and extract their revenge. Calder has never met a woman he couldn’t make fall in love with him at first sight, but he soon realizes that he’s met his match in Lily. She’s not a pushover and does not fall for his fatal charms, but she does notice that he and his family are more than a little strange. Lily begins to suspect that there’s something dark going on in the neighborhood and begins an investigation that brings fear very, very close to home. So well-written, the characters are beyond surprising and the author has a true gift of being able to lure readers in with her haunting scenes. Quill Says: Chock full of subtle surprises, readers who live near large lakes may just move to the desert after they’ve devoured this one! Grace Cavanaugh is planning on a relaxing summer. She has agreed to stay with her great-aunt Sophia, a one-time B-movie star, who is now an elderly woman facing hip surgery. Grace will keep Sophia company, finish up her Women's Studies dissertation on how beauty leads to misery, and have plenty of time to relax. How hard can it be? Boy, is Grace in for a surprise! Grace has only met her great-aunt once, back when she was ten and Sophia was a very intimidating woman who wore too much fake jewelry and insulted Grace to the point that Grace ran from the house and spent the rest of the day sulking. Surely, Grace reasons, her elderly aunt has softened through the years. The first hint that Sophia is not what Grace imagines is the Pebble Beach house of Sophia's, which is actually a mansion. Combine that with an 85-year-old woman who still exudes a charm and confidence that draws the attention of all the males around her, and it's clear that it's going to be one very interesting summer. Sophia doesn't mince words when Grace arrives with Cat, a friend who Sophia doesn't particularly like. The old woman manipulates the situation so that Cat, insulted to the point of tears, leaves the next morning. Sophia also makes it clear that she doesn't like Grace's frumpy way of dressing, nor does she care for Grace's dissertation topic. That first day at Sophia's, Grace also meets two handsome men, Declan, a womanizing, good-for-not-much, but VERY easy on the eyes, hunk of flesh, and Andrew, a good-looking and respectable doctor. Grace and Declan have a private, and somewhat steamy encounter that first evening, and things take off from there. While discussing the men with Grace, Sophia makes her great-niece a deal the financially strapped PhD student can't refuse. Sophia will pay her $50,000 at the end of the summer if Grace agrees to transform herself into a woman men can't resist. As an added enticement, Sophia argues, it'll be great research for the dissertation. Can Grace make Declan fall in love with her and then dump him like a hot potato? And what about Andrew? Is he the marrying type? Would he be the perfect match for Grace? Grace agrees to the proposition and is soon taking classes, dieting, exercising, and learning the fine art of man-teasing. She tells herself that Declan is a slime, that she hates him, and yet, she is definitely attracted to him. The scenes with him are quite hot and passionate, but he's a womanizer and will surely move on once he gets Grace into bed. Andrew, meanwhile, is reliable, educated, and, well, honestly, boring. But he's safe and would be a good provider. Declan is clearly the more interesting of the male characters and the reader will quickly look forward to the scenes with him and Grace. While the plot isn't particularly original, and the outcome is fairly easy to predict, the story is quite enjoyable. Grace is a very likeable character, one who uses quite a bit of humor in her diary writing and is shown with all her vulnerabilities exposed. Quill says: A fun, witty story about a woman who learns how to lure a man, and learns a lot about herself along the way. The perfect book to keep you company while you lie on the beach, dig your toes into the sand, and soak up the sun. Bram Stoker knew what he was writing about…but do the rest of us? Before you vampire ‘haters’ out there wish to disregard this one as ‘yet another fanged ones book,’ you really need to reconsider. The author has created a truly stunning work with so many twists and turns that readers will have NO idea who’s bad, good, in charge, searching for power - OR, who Dracula really was. We begin in 1897, sitting beside Lucy Weston as she is mesmerized by the opera playing out on stage. It is her twentieth birthday, and she knows that her parents and her sister are only there to be nice (they really had no interest in the performance.) Oddly enough, however, Lucy’s ‘sight’ seems to go a bit awry. Where there was once singers performing, now there is only one man - a seductive, handsome man who seems to be calling out to her as if she is his one and only. As the image fades, Lucy wakes from and finds herself buried in dirt with a piece of wood sticking out of her chest, and desperately clawing her way out of the grave. She really didn’t have to worry very much considering she was (sort of) dead already. As the ‘light’ begins to shine on her memories, images come back to her. She also finds her house, completely abandoned as if her family was chased away by something monstrous. Lucy goes on the hunt to meet Bram Stoker and ask him why, exactly, he turned her life and murder into some silly piece of fiction. Not to mention, if he knows so much then he HAS to know where she can find this ‘Dracula’ creature and get some answers! Walking through the gritty, macabre world of steampunk London, Lucy finds herself becoming embroiled with a man who comes from a long line of hunters, as well as a woman who wants nothing more than the power she feels she’s owed. And when readers find out how two legendary stories are interwoven where Dracula is concerned, they will be enraptured with Incarnation until the very end. Quill Says: From the characters of wolves, unicorns, trolls and more, this one has it all - and the ‘cool’ Lucy is a great main character! 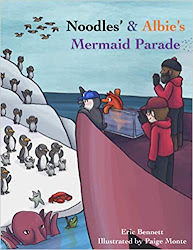 It’s not often that I am graced with a children’s book that is not only a fantastic story and beautifully illustrated, but is also a walk through history that any and all adults and children will absolutely love! Molly Williams is a very real figure. Back in the early 1800’s in New York City, Molly was a cook for a local Fire Company. She was the best at everything, making these men dishes that (will!) make your mouth water; Molly was loved and appreciated by the men. One night, a hideous snowstorm hit the City and many of the men were struck down with influenza. And, sure enough, that’s when a blaze went up and hardly any of the men from the Company were able to respond. Molly was far more than a cook. Without even thinking about her own life, she put on the uniform and raced out into the snowstorm. She helped the men who were able to arrive pull the “fire truck” down the road and worked until ash had practically buried her in order to save the family and stop the blaze. Molly is one of those heroic people who come along every now and then. She was full of love, kindness, and the courage to save lives! This book not only shows a very thrilling, action-filled tale - but the historical information about how fires were actually put out way back then - from what the uniforms looked like to how difficult it was to get the fire “equipment” to the blaze - is extremely interesting to read about. And, the historical facts and extra information in the back of the book will offer you and your child a very cool look into the rich, vibrant history of the American Firefighter. True heroes and heroines! Quill Says: Perfectly written with stunning illustrations, this is by far (and, so far) the best children’s book of 2012! This novel is the second installment of Jeffrey Archer’s new series called the Clifton Chronicles. Only Time Will Tell is the first in the series and tells the tale of a family that will cross generations, oceans and very difficult situations. The first book begins with Harry Clifton, a dock worker’s child who is born to Maisie Clifton. As he grows up he develops a talent for music which gets him a scholarship to an exclusive school. At the school he meets boys who are much richer than he but become very good friends of his. This book takes the reader through World War I and the outbreak of WWII when Harry has to decide whether to join the Navy or stay in school. The second book, The Sins of the Father, is very much a continuation of the first. It is best to read Only Time Will Tell first to gain an understanding of the characters and sitiuations. In the first book, Harry was about to marry Emma Barrington when they found out that the marriage would be a big mistake because Harry’s parentage is questioned. He might be the son of Hugo Barrington, who had a one-nighter with Harry’s mother. This would make Harry and his bride related so Harry decides to join the Merchant Marines rather than get married. When the ship Harry is on is torpedoed by a German U-Boat, Harry makes a quick decision to take the identity of a passenger who was killed. Why? Because Harry wants a new identity and wants to disappear into New York City. This turns out to be a big blunder because the passenger, Tom Bradshaw, is wanted for murder. Harry, thought to be Tom, is arrested and sent to prison. Now, Harry has more problems than he had before coming to the city. Harry ends up in prison, serving the sentence that was handed down to Tom Bradshaw. Back in England, Harry’s bride-to-be at the wedding that never happened, Emma Barrington, refuses to believe that Harry is dead and goes to America to prove that Harry is alive and to let him know that he has a son. Emma’s brother, Giles, who is also Harry’s best friend, joins the service of his country and becomes a war hero. This second novel in the series takes readers through WWII and we meet many characters who are both saints and sinners and readers will read avidly to see which sinner gets what he/she deserves and which saint will come up a winner. Quill Says: This is an excellent story, as Archer’s stories always are however it jumps around a lot and is a bit confusing at times. The reader will definitely have to read the books in sequence as not very much is explained - book two is continued on from book one without any explanation.